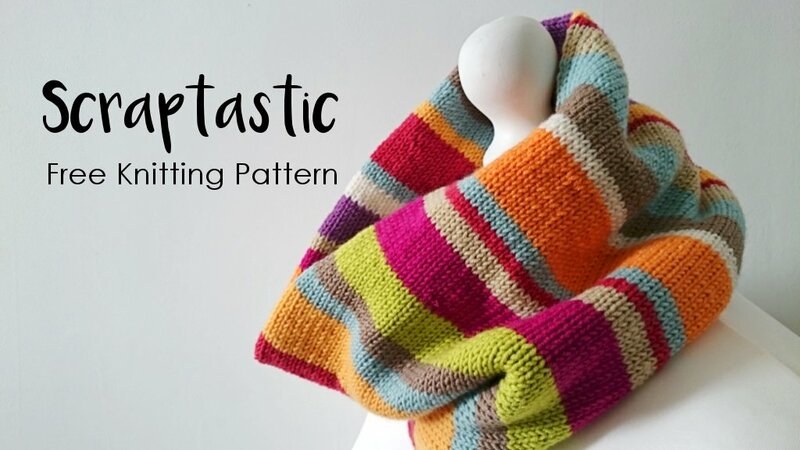 Scraptastic is my latest creation and here you’ll find the free cowl knitting pattern so you can make one too! It’s a very warm and cosy cowl that I’ve been wearing non-stop. It fits snug around the neck and is tall enough to pull up over your nose. 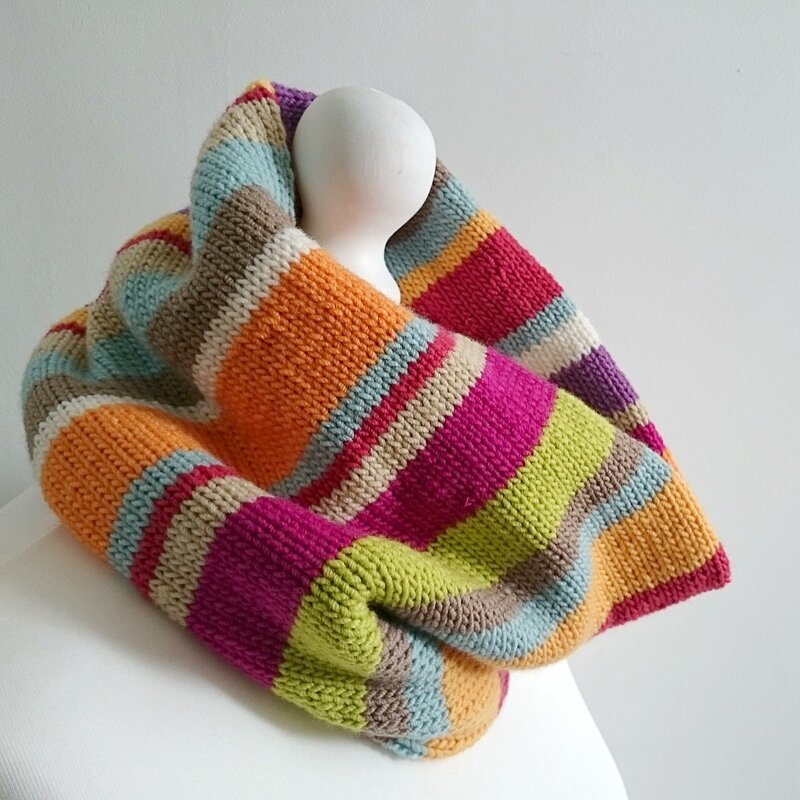 As the cowl is worked in the round in a tubular shape the cowl is double thickness – deliciously snug on a cold morning! The yarn I’ve used are the leftovers from a blanket I designed for lovely Tracey Todhunter’s lovely book, you can read all about the blanket here. The yarn is DMC Woolly and I have to say its a delicious yarn. Soft and squidgy! I was very surprised that I managed to eek out an entire cowl with the leftovers. It’s perfect for knitting into a cowl as the yarn is soft, not scratchy or hairy, and feels smooth against your skin. The cowl is worked in the round on circular needles, then the cast on and cast off ends are joined together with either a three-needle bind off method or by grafting using kitchener stitch. 2 x 4mm circular needles, 60 cm (24 inch) in length. Finished cowl measures 10 inches high x 23 inches around. If you want a smaller or larger cowl circumference just work fewer or more rows. Bear in mind you’ll need more scraps of yarn if you are making a larger cowl! DMC Woolly – or any DK weight yarn, preferably merino. 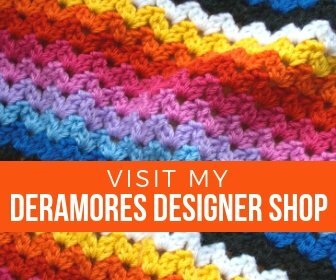 This design is perfect for using up scraps of yarn. Use whatever DK/Light Worsted yarns you have in your stash. With colour A cast on 110 stitches using the Provisional Cast On method. Join stitches to work in the round, taking care not to twist the stitches. You can place a marker at the start of the round to help keep track of things. 7 rounds in colour G. Do not end colour G.
Sew in yarn tails before joining together the cast on and cast off ends. Pick up provisional cast on stitches onto the spare circular needle and cast off stitches using the three needle cast off technique in colour G. Alternatively, you can join the two edges together by grafting using kitchener stitch. I’ve added the pattern to the Ravelry database (Scraptastic by Leonie Morgan) so don’t forget to add your projects. If you are posting your finished projects on social media don’t forget to tag me, @woolnhook, so I can have a nose! I hope you enjoy this free cowl knitting pattern and I look forward to seeing your finished projects! Thank you for sharing this is beautiful! Is it a rectangle that’s made and u just add the ends together twice? Thanks, Jennifer! You knit a tube on circular needles then graft or knit the two ends together. It’s a tube and then you join the ends of the tube together. It makes a really fast knit because there is no purling!